Today is a continuation of my favorite baby items, as my sister-in-law prepares her registry for her first child. 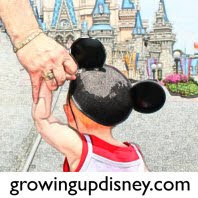 I've appreciated the help from other parents in the many reviews I have read and it's my turn to pass along some lessons learned. I make nothing off these recommendations. They are simply products I use and love. For nursing, I can't say enough good things about My Brest Friend. 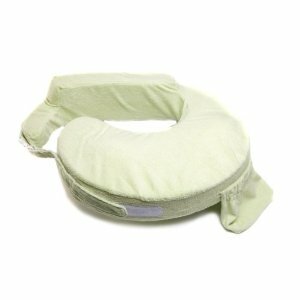 This pillow provides proper support for baby, improving latch-on and saving mom's back. I got one when Tink was a few weeks old. I was so tired of struggling with sliding pillows and I hated the boppy. I made sure that I took my nursing pillow to the hospital when Minnie was born and used it from the second feeding on. I've even thrown it in the van when we've traveled to make on-the-go feedings easier. 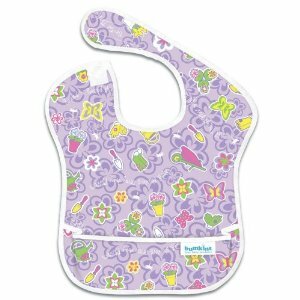 For older kids, I love the Bumkins Super Bib. It's thin but really stops messes from ending up on clothes since it lays flat on the child. The little pocket catches a good bit of the crumbs. The best thing is how easy it is to clean. Simply rinse it off after a meal and hang it up to dry. It will be ready for the next meal. From time to time, I put it in a mesh bag and wash it with the girls' clothes. Ideally it shouldn't be machine dried but will survive just fine if you forget a few times. We only have one and that's been enough. I've used disposable bibs for travel while we are on the road or out at the parks, but I always carry along my Bumkins bib for use in the DVC villa or at Grandma's house. It's so much easier than the stack of cloth bibs I traveled with (and had to wash) when Tink was very small. I recently bought the starter bib which is a smaller version for Minnie. So far I don't love it. It's the same great fabric, but she's a brand new eater and things tend to slide down her neck past the starter bib. I'll try it again when she's a little bigger. The Munchkin Snack Catcher is terrific for keeping snack time cleaner. The lid allows the kiddo to slide her hand in but stays shut in case the bowl is turned over. Tink uses these around the house, in the van and at theme parks, the zoo, the farm, etc. When we are out with the stroller, I've used a No Throw Strap (got mine at Walgreens) to attach the snack catcher to the stroller. That way if she dropped it, we didn't have to worry about loss or dirt since it didn't reach the ground. My pack had two straps so I attach one to each side of the stroller so we can secure snack cups, sippy cups or toys. I do put these cups in a ziploc bag before putting them in the diaper bag. 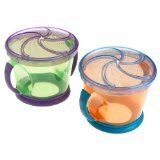 Another little gizmo I like for snacks on the go is the Philips Avent Formula Dispenser/Snack Cup. While I wasn't crazy about this as a formula dispenser, it seals tightly and is great for carrying small snacks in your diaper bag. With Tink, I kept this loaded with three different toddler friendly snacks. It was really handy at Disney World. If she got cranky on the bus, I could give her a few bites without making a mess. I also like that this can be used longer since the divider comes out and you can use it for larger food, like apple slices. I hope this helps another parent (or someone doing baby shower shopping.) These items have all made my life a little easier in their own way. All of the photos in this post were obtained from Amazon and are property of the manufacturers.